Our Willis Pipe Organ is a fine example of the marvellous late-Victorian organs built by ‘Father’ Henry Willis, the founder and most famous member of the multi-generation organ building firm Henry Willis & Sons Ltd.
Father Henry Willis (1821-1901) shot to fame with the organ he built for the Great Exhibition at Crystal Palace in 1851 - the first international exhibition of manufactured products. The organ featured his innovations such as thumb pistons and improved pneumatic action and it sounded so wonderful that he won the contract to build the organ at St George's Hall in Liverpool. Henry Willis I went on to make his name building organs to fill great cathedrals with sound, for example Winchester, St Paul's, Canterbury, Salisbury, Durham, Glasgow, Exeter, Hereford and Lincoln. He was also famous for 'Town Hall' organs used as one man orchestras for concert programmes of classical and popular music, for example the organs at Reading, Huddersfield, Brighton Pavilion and Alexandra Palace. His work coincided with a huge surge in organ building in England, Scotland and Wales, as many new churches were built and the Scottish congregations, which had previously viewed organs with deep suspicion, embraced pipe organs to accompany their singing for worship. When he built our Willis organ for St George's Church, Charlotte Square in Edinburgh, Father Willis was at the height of his powers, with his company the largest of all the organ builders in England at the time building hundreds of organs a year including instruments for export around the world and for smaller parish churches all around the country. In fact the small 2 manual instrument in our other parish church All Saints in Calverton is also a Willis organ, though another organ builder subsequently worked on it and put his name to it. Henry's brother George was a very good reed pipe voicer and Henry's son Vincent also developed extraordinary skill as a pipe voicer. The Willis family developed the smooth reed tone (such as the Corno di Bassetto - a bass clarinet sound) and the first high-pressure reeds (such as the trumpet and trombone). Henry Willis also experimented with high pressure flue pipe voicing in collaboration with trade pipe maker Violette, inspired by French organ builder Cavaillé-Coll who built instruments which were capable of producing symphonic sound. His improvements to pipe voicing techniques resulted in instruments which were musically versatile and powerful, able to play both classical and popular music convincingly. Henry Willis's innovative work also extended to the action which made the pipes work, his pneumatic improvements to the Barker lever system enabled him to split the existing St Paul's Cathedral organ in half in 1872 and place it on either side above the choir which meant the choir screen could be removed allowing the congregation an unimpeded view to the high altar. This ability to split the organ in two was later applied to our Willis organ in 1896 when Henry Willis I and his son Henry enlarged the two manual instrument to three manuals placing it in two alcoves on either side of the pulpit and communion table. His innovations in organ building allowed for greater flexibility and versatility of position in the buildings for which they were built. Father Willis's death coincided with a period of market saturation - many churches and town halls now had their instruments which needed maintenance not replacement and there was a contraction in the organ building market as a result. 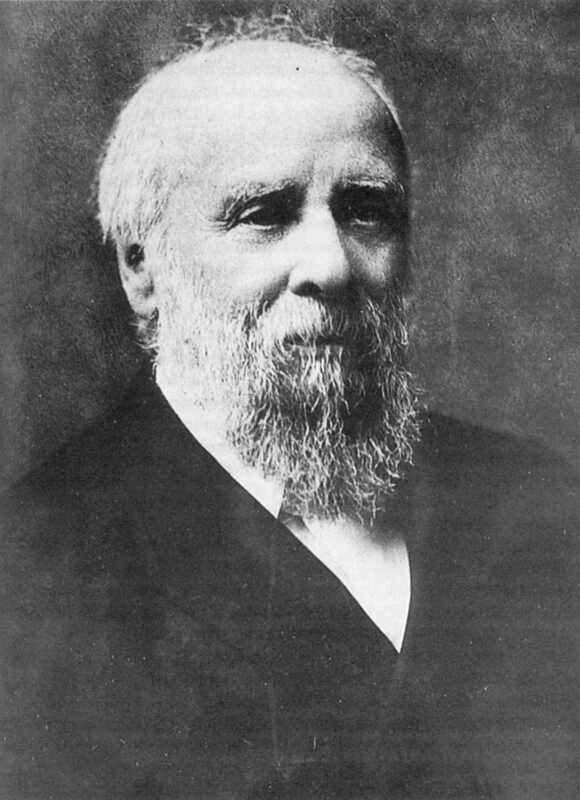 Henry Willis II had taken over the company after his father's death and continued the business although his brother Vincent wanted him to close the company. Henry Willis III helped his father with the business and gradually assumed more responsibility for the voicing and sound experiment work. The company suffered from staff shortages during the first World War as well as a reduced order book and had to leave their large workshop in Camden town for a much smaller building in Homerton London. They merged with rival Lewis & Co of London in 1918. For a brief period the company traded as Henry Willis & Sons and Lewis & Company for legal reasons before becoming Henry Willis & Sons again. The label on the blower room door of our Willis organ bears the label from this period, as the Kirk Session records for 1918-1919 show that the blowing apparatus needed to be replaced. Henry Willis II died in 1927 and his son continued the business, collaborating with Ernest Skinner, an American organ builder to bring further technical innovations to English organ building - the electric console. When Henry III enlarged our Willis organ for St George's church in 1932 a new console was built for the instrument as part of this work, with stop knobs provided for Tierce, Nazard and Piccolo pipes for the choir organ which were not installed at the time. This is probably because the 1930s were the height of the great depression and the church had a huge interior redecoration scheme to pay for at the same time as the organ work. According to his article in The Rotunda Magazine (the Willis organs company magazine) he also installed the 16ft Waldhorn which has stop knobs in both the Swell and Pedal sections on the console.